Google has agreed to create a 60m euro ($82m; £52m) fund to help French media organisations improve their internet operations. The US firm had retorted it might stop indexing French papers' articles. "France is proud to have reached this agreement with Google, the first of its kind in the world," the French president's office said on Twitter. One analyst told the BBC that the President's comment was telling. "It appears Google have opened the door to other countries' newspapers doing the same thing," said Ian Maude, head of internet at Enders Analysis. "This sets a precedent which other publishers may pursue in their own negotiations." 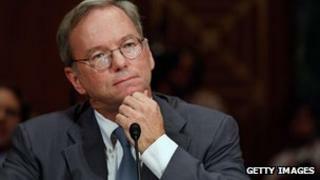 After the news was announced, Eric Schmidt, Google's chairman, wrote on his company's blog: "These agreements show that through business and technology partnerships we can help stimulate digital innovation for the benefit of consumers, our partners and the wider web." The European regulator will now consider Google's proposals, which have not been disclosed. If it rejects them and finds the firm has broken its rules, it has the power to fine the firm up to 10% of its global turnover which could amount to more than $4bn (£2.5bn).